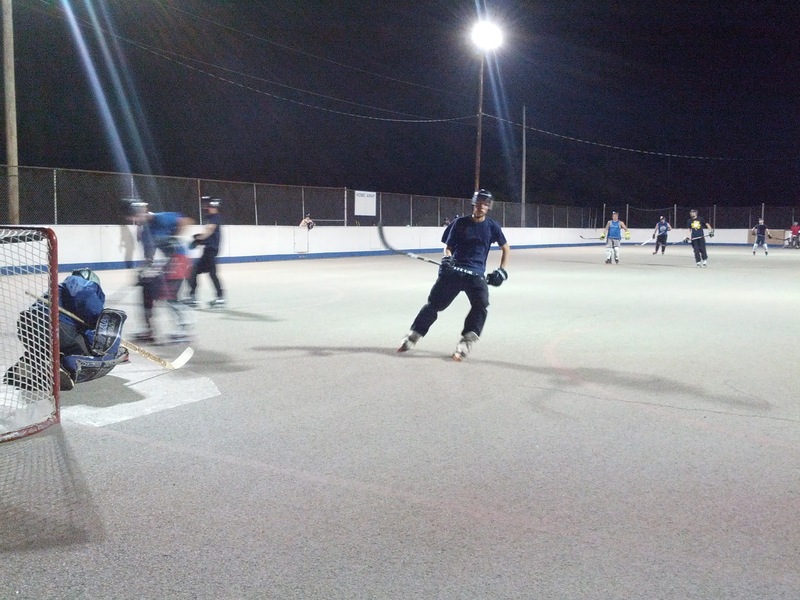 I started playing hockey again as some of you know so I wanted to post an update mid season and let you know how things were going. I have been playing 1-2 games a week and practicing once a week. I am definitely improving and getting my brain, my feet, and my hands all working together again. I feel more confident carrying the ball and making passes. I am playing with the Raptors and most of the guys are about 10 years younger than me but it has been really fun playing with them. Right now we are 1-8-1 and are in 9th out of 10 in our division. One surprise is that I made the All Star team. I will be playing Saturday night June 30th at 8pm and I will be playing for the East. The game is at Stiefel Park in Ellwood City. It should be fun to try and play defense against all the best guys in the league at once.